The Travis Walton abduction is perhaps one of the most famous UFO cases of all. Travis was part of a logging crew on November 5, 197, in the Apache-Sitgreaves National Forest. The abduction site is in the east central Arizona mountains and is accessed only by old logging roads. After calling it a day, and with the sun going down, the crew of seven got in the truck to head home. As they traveled down the road, a UFO was spotted hovering off to the side. Travis got out, approached it, and was hit by a beam. The crew panicked and drove off, but quickly returned to find Travis missing. He was gone five days. Now, a scientific analysis of the terrain where the incident occurred has produced surprising results. Curiously, it is one of the most famous cases of alien abductions, and in addition, it’s one of few cases of alien abductions with corroborative eyewitnesses that could not be denied. Walton could not be found but reappeared after five days of intensive searches. According to the story, the night Walton was abducted, six crew members including Walton (Mike Rogers, Ken Peterson, John Goulette, Steve Pierce, Allen Dallis and Dwayne Smith) were driving back to their homes after an arduous day of work. On the way, they encountered an intense luminosity that they believed was a fire, but as they approached they saw that it was a saucer-shaped object floating off the ground some 30 meters. What followed became one of the most important and interesting UFO cases in the history of our planet. Interestingly last week, Frontier Analysis Limited analyzed samples of the ground where the abduction allegedly took place. The results obtained shed some light on the event and prove that something strange definitely happened that night of 1975. Signed by the chemist Phyllis A. Budinger, the report provides details on the composition of the soil where the UFO was located according to Walton. Several soil samples were taken from the site where Walton was abducted, as well as other control samples taken from the surrounding area. According to the scientists, the differences between the two samples were not many, although, to their surprise, they found two interesting anomalies that caught their attention. Research revealed that compared to the surrounding terrain, samples from the abduction site have a higher level of iron particles. Exchangeable cations (calcium, magnesium, potassium) are also significantly higher. This suggests some kind of chemical change occurred in the ground where the alleged alien UFO was spotted. 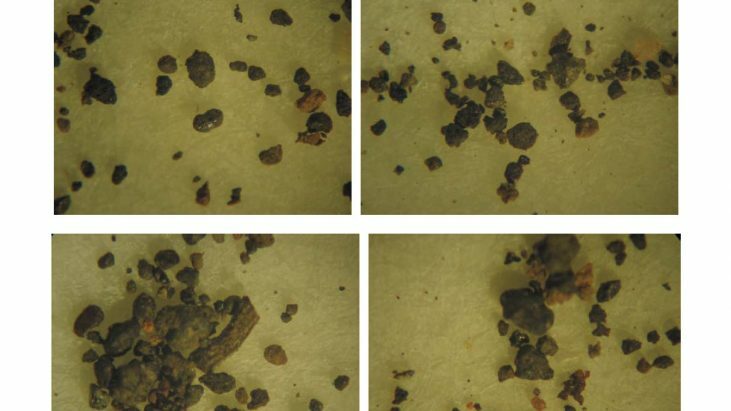 Even though the report indicates that there may be a natural explanation for cationic activity, such as clay deposits that generate chemical changes, the large amount of iron is definitely out of the norm wrote experts. EX-MARINE TELLS THE TRUTH ABOUT ISIS AND THE WAR IN SYRIA!